NBC 7's Rory Devine reports from campus where officials are preparing for the return of students and staff. Students returning to Horace Mann Middle School after holiday vacation will have to deal with a big loss to the administration staff. 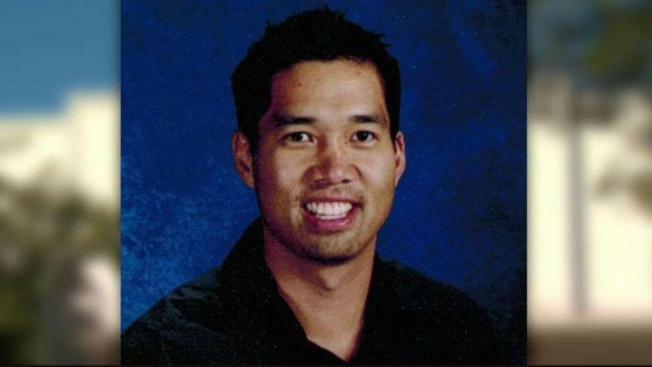 Dr. Allen Teng, the principal of the school, passed away during the holidays. Teng’s wife said in a letter that he was killed in a crash Saturday morning. A letter sent to the school community from the vice principal said crisis counselors will be on campus Monday and beyond for students who need to talk about their feelings. Dr. Teng was well-liked by students and staff. In fact, a Horace Mann graduate said he recently came back to the campus to say high to old teachers. Soon after, he saw the news on social media. “On social media a bunch of people posted it I was like wait, that can't be real,” high school student Kayvion Jones said. Another former student, Larry Salinas, said Dr. Teng always told him to keep moving forward. “Students had fun with him, teachers, everybody had fun with him,” he said.